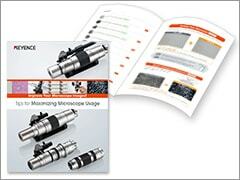 Combat unskilled labor with an optical inspection system that anyone can use. 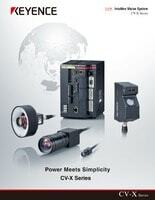 Combat unskilled labor with an optical inspection system that anyone can use. 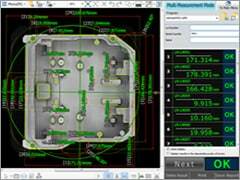 Operators can dimension parts at the push of a button to decrease QA bottlenecks and increase part inspection throughput. If you are finding it hard to catch all defects before final inspection or reduce scrap efficiently, the CV-X is for you. 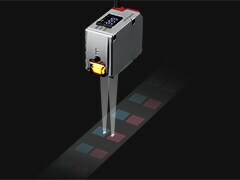 This system can be introduced throughout your manufacturing process to cut costs and speed up your process entirely. 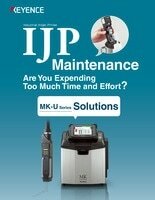 The MK-U Series eliminates these and other time-consuming maintenance operations. Learn about the latest methods for improving welding process control and quality using KEYENCE 2D/3D laser scanners in this quick guide. This guide covers specific tips on how to adjust illumination, lens settings, etc. to capture fully-focused images. 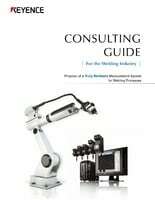 Download the guide to learn more! 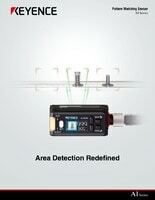 The AI Series is a new line of Auto Intelligent Sensors. This photo eye has field-of-view allowing you to detect difficult or unrepeatable targets. With the push of only 3 buttons, you can fully integrate the AI! 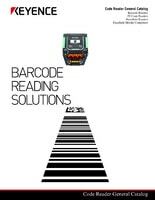 This guide contains product information as well as industry examples where barcode reading is commonly used. With KEYENCE's support system, we will work directly with your company to provide you the best code reading solution.